We are just about getting used to the idea of sporty cars powered by diesel engines, but the Audi SQ5, BMW X4 30d and Porsche Macan S Diesel further test the scepticism of purists. Can a diesel-powered SUV be a genuine performance star? It’s fitting the SQ5 is here because it was Audi that started the modern era of diesel performance with its R10 and R15 TDI race cars that, with the exception of 2009, dominated Le Mans between 2006 and 2011 (before hybrids became trendy). With their ability to go quickly while also crucially limiting the number of pit-stops required over 24 hours, the diesel racers were perfect endurance cars. Audi’s first performance diesel for showrooms wore the company’s S badge rather than RS. The SQ5 landed in 2013 proclaiming to be the world’s fastest production diesel sports utility vehicle, with a 0-100km/h sprint time of just 5.1 seconds. As with the world’s most famous endurance race, however, Audi faces new challengers. The first is from within the House of Volkswagen – the Porsche Macan that is loosely based on the Q5 itself and lines up as a smaller brother to the Cayenne. 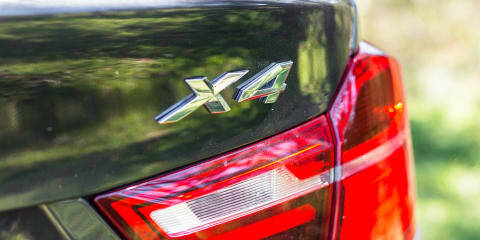 Second is the BMW X4 that follows the X5/X6 formula to be a sportier-handling, coupe-like version of the X3. Both come with different choices under the bonnet, with the X4 30d ($83,900) and Macan S Diesel ($84,900) the natural rivals in terms of their fuel type and price proximity. It is a bit more of a stretch to the $90,600 SQ5, though those extra gorillas allow owners to beat their chest after a straight-line-acceleration battle. We couldn’t match the SQ5’s 0-100km/h claim, but a Vbox-verified 5.4-second result kept the X4 (5.7 v 5.8 claim) and Macan (6.0 v 6.1 claim) at bay. The Macan (with launch control via the optional Sports Chrono Package) was level at the 60km/h mark, with the X4 just ahead (2.3 v 2.5sec). The SQ5 then surged clear from 50-100km/h as its engine transitioned from being fed by the smaller, variable-vane turbo (for low-rev response) to the larger, se’ condary turbo designed to boost top-end performance. Audi’s ‘biturbo’ V6 was first seen in the A6 range and produces the same 230kW and 650Nm – outputs that can’t be matched here. The X4 30d and Macan S Diesel share 190kW, with the Porsche just edging the BMW on torque: 580 v 560Nm. If you want your diesel engine to not sound like a diesel, the Audi is also the pick. The same exhaust-cited sound resonator fitted to the biturbo TDI A6 helps the SQ5 make a credible impersonation of a rumbling petrol V8. 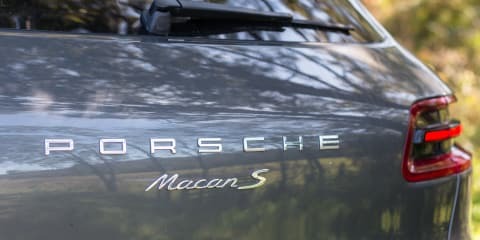 The Macan’s V6 has purposeful, machine-like vocals, while the X4 30d’s straight-six has the most noticeable trademark diesel tune – while being nothing but refined. All three are cracking engines, each mated to clever autos – eight-speed conventional autos in the Audi and BMW, and a seven-speed dual-clutch in the Porsche – with sports modes that make the paddleshift levers redundant. None of the six-cylinders will frustrate drivers with turbo lag and each pulls strongly and smoothly from low in the rev range. Their excellent tractability and throttle response (sharpest in the SQ5) makes urban driving easy, while the bulging mid-ranges allow long distances to be covered with exceptional ease. Our fuel test results revealed the X4 would take you the furthest between bowser stops, with its 8.7L/100km and 67-litre fuel tank combining for a range of 770km. The SQ5 recorded 10.2L/100km but its 75L tank gave it a real-world range of 735km, with the thirstier and smaller-tanked Macan (10.6L/100km and 60L) meaning pulling up at the pump after 566km. For the driving enthusiast parent who manages to grab a rare break from family duties and head for a spirited run, which performance SUV is capable of delivering the greatest satisfaction is an important question. And one we’re only too happy to answer. Start to push, and the related SUVs are soon divided – with the Macan feeling every inch a Porsche and the SQ5 suggesting it’s not quite the resolved model it might have been had Audi’s Quattro division been involved (which did produce the RSQ3). While it’s more prone to understeer than the Macan, the SQ5’s (optional) Dynamic steering disappoints more with its inconsistent responses and artificial heaviness once the Dynamic mode is selected via the Drive Select dash button. The lowest ride height here via the sports suspension that’s lowered 30mm compared with a regular Q5 helps keep body lean restrained, though the Audi is the most susceptible of our trio to mid-corner bumps. There’s also a jostling ride whether you’re traversing country roads or commuting to work. The optional 21-inch wheels (20s standard) fitted to our test car also picked up sharp edges around town. BMW’s X4 benefits from its donor model. As with the X3 it rides comfortably everywhere – generally unperturbed by pockmarked surfaces or road joins. Its suspension has the most suppleness when travelling cross-country, if also the most noise. Its variable-ratio steering is also likeable for its smoothness and sharpness, though the X4 30d needs the adaptive M sports suspension standard in the flagship 35i to shine at the limit. Body roll is pronounced and the X4 30d wants to push the widest in corners despite featuring the widest rear tyres in the group (275mm v 255s) and torque vectoring – which, like the SQ5, can brake an inside rear wheel to limit understeer. The highest seating position also lessens the involvement, though will be considered a bonus by those buyers looking for the traditional elevation of SUVs. The Macan and SQ5 give more of a sensation of driving an enlarged hatchback. Even the Porsche can’t defy physics, of course, yet while it’s not like driving a high-riding Cayman, the Macan’s dynamics are sensational in the SUV context. It has the tautest body control by far, even with the optional adaptive dampers set to Comfort mode. And although it’s not immune to understeer, the Macan has the most mechanical grip despite our test car not featuring torque vectoring (optional), while it’s also the most throttle-adjustable of these SUVs mid-corner and has the best-feeling brakes. The Porsche rules for steering weighting and accuracy, too, though fellow testers Trent and James also noted the steering was on the heavy side at town speeds, and the ride is the firmest of the trio without ever bordering on discomfort. We didn’t take these SUVs off road (as most owners won’t), but the fact we’ve previously put the Macan Diesel through some all-terrain challenges on its overseas launch isn’t the main reason we’d say it’s the most capable in this respect. The SQ5’s low ride height realistically limits it to dirt tracks, while the X4’s off-road functions are limited to downhill descent control. The Macan comes with an Off Road button that, when engaged, adjusts the throttle response, gearshifts and all-wheel-drive set-up for slippery conditions up to 80km/h. If you were serious about getting your Macan dirty, we’d recommend paying extra for the air suspension that can increase ground clearance by 40mm to a total height of 230mm. When it comes to exterior measurements, all are around the 4.6-metre mark for length (with Macan longest) and wheelbases are separated by just 6mm. Inside, there’s also little to separate these German SUVs for rear-seat legroom – which is good even with a 6ft 1in occupant sitting behind their driving position. Above (from top): Audi SQ5, BMW X4, Porsche Macan. Back-seat travellers will be more inclined to appreciate the Audi SQ5 purchaser, though, as it offers the most headroom and toe space, its bench is the most comfortable, and the seatbacks can recline. The Macan’s bench is also comfortable, though headroom was tightest due to the fitted optional panoramic sunroof. All three are a squeeze for three adults in the back, with the BMW X4’s middle rear position the least comfortable due to its humped seat. The bench is also noticeably firmer and under-thigh support has been lost due to BMW lowering the rear seats in relation to the X3 to improve headroom by compensating for the sloping roofline. All boots are accessed by auto tailgates and rear seats fold in each as you’d hope – with the Macan the cleverest with its option of 40-20-40 or 60/40 split – and here the SQ5 stretches its cargo advantage (1560L) and the X4 falls further behind (1400L). The Macan sits in the middle with a total luggage capacity of 1500L. There are smaller differences with standard equipment. Each comes with key features such as leather seats with powered fronts, xenon lights with LED daytime running lamps, sat-nav, sports steering wheels, parking sensors front/rear and rear-view camera. The Audi SQ5 sits on 20-inch wheels as standard with the BMW X4 and Porsche Macan on 19s (latter with optional 20s on test). Macan asks extra for torque vectoring but includes adaptive suspension. And of course you can easily blow out the costs of these models past a $100,000 RRP with options (as was the case with our $104,500 SQ5 and $107,270 Macan). Materials and cabin styling that shares commonality with Porsches costing more than $300,000 means the Macan has the greater sense of expense. Neither the Audi nor BMW is short on interior quality, and both have arguably stronger user-interfaces due to the Porsche’s excessive reliance on buttons. The SQ5’s dash set-up is essentially based on the A4 sedan that is due to be replaced in 2015, however, so some might find it visually dated if familiar with more recent Audis. It’s on the move where the SQ5 doesn’t quite gel together as the complete performance SUV, reaching greater heights in a straight line than it does in the curves. Owners will still find plenty of entertainment in the way this Audi goes and sounds, though. The BMW X4 30d is a thoroughly enjoyable drive and the way its straight-six diesel can use relatively little fuel for such performance is pretty remarkable. Our testers would take an X3 over the X4, though. The $6500 price jump can be justified by extra features, but the spin-off model doesn’t drive significantly better than the equivalent X3 30d because sports suspension isn’t standard (as it is on the X4 35i, which you can read us compare against the petrol Macan S here). The X3 is also more practical and, to everyone’s eyes we’ve tested, is easier to admire in terms of its styling. The X4 isn’t ugly by any means, but it is awkward-looking from most angles. At least the X6 had a menacingly low, wide stance. 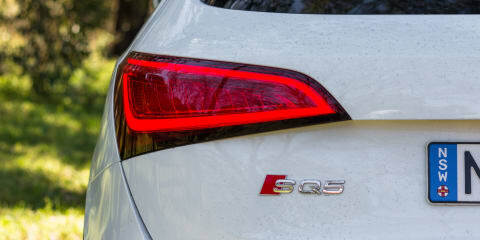 As for the Q5’s new twin – well, it’s more like there’s sixty degrees of separation between the Audi and the Porsche. The Macan S Diesel isn’t as quick as the SQ5 and it isn’t as economical as the X4, but it’s an extraordinary all-rounder with a level of engineering quality and cabin presentation that transcends its price tag. And while it might be difficult to comprehend for the performance SUV non-believers, the Porsche Macan is a vehicle that would feel as much at home on a track as it would on a trail.